At Parks you not only get that, you will also receive a friendly but professional welcome in relaxing surroundings where you can enjoy our complimentary refreshments. The Number 1 stylist recommended thinning hair brand in the USA. Winner of the “Stylist Choice Award” for 10 years in a row. 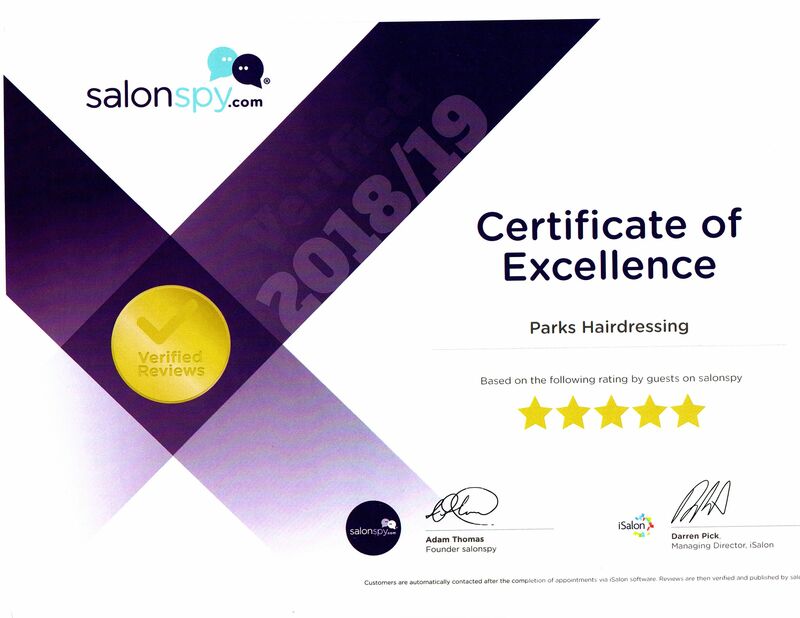 Parks Hairdressing is proud to be one of the first salons in the South West to offer clients this revolutionary new product which has taken America by storm. Olaplex™ is a single active ingredient, free of silicones, oils, aldehydes and parabens, designed to reconnect the disulphide sulphur bonds broken in the process of permanent hair colouring and lightening leaving you with softer, shinier and easier to manage hair. Olaplex™ allows us to take your hair colouring to another level. OlapexTM upgrade service now allows us to colour without compromising the integrity of your hair. Available as a stand-alone treatment for weak fragile hair or alongside any colouring technique. Ask for Olaplex to be added to your service today from £20 & join the revolution already enjoyed by celebrities such as Kim Kardashian, Jennifer Lopez and Rita Ora.